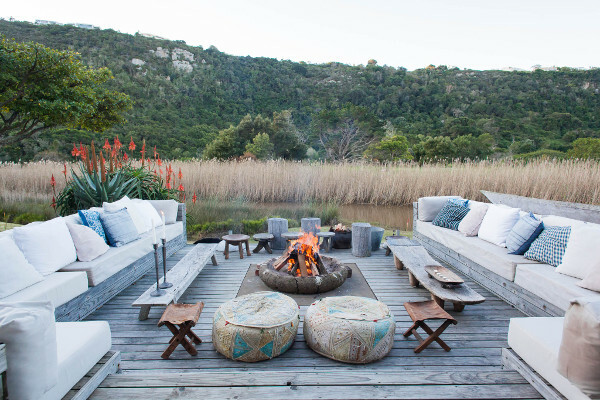 The River house offers an unparalleled family holiday experience in Plettenberg bay. 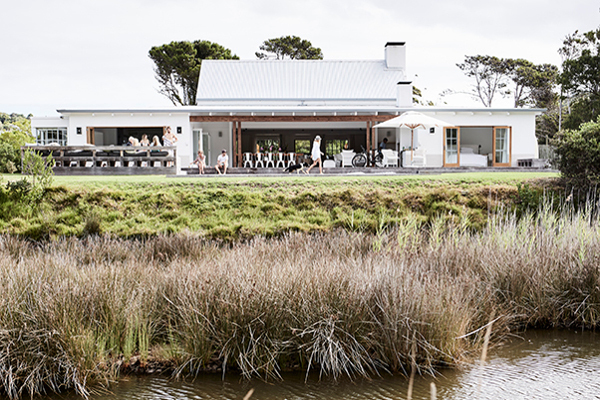 Centrally situated a stones throw from all the beaches the river house offers town and country living.On the banks of the Piesang river in the heart of Plettenberg bay the river house is the perfect holiday getaway. This special family home is an entertainers paradise with a boma area for evening drinks, a volley ball court , swimming pool and canoes for a morning paddle.The house boasts 5 bedrooms, 2 loft rooms , 6 bathrooms and 4 outside showers, all the rooms are well appointed and stylish. The security has been well researched, completely fenced with clear view an electric gate with surround beams and alarms. This unique state of the art property, what one might call town and country living with an abundance of space and prolific birdlife just is minutes from the buzz of town and the beach. Renting a holiday home in Plettenberg bay gives you the full spectrum of some of South Africa’s most spectacular beaches. Plettenberg bays central beach is the busiest beach in Plett and the launch site for boating safari’s. 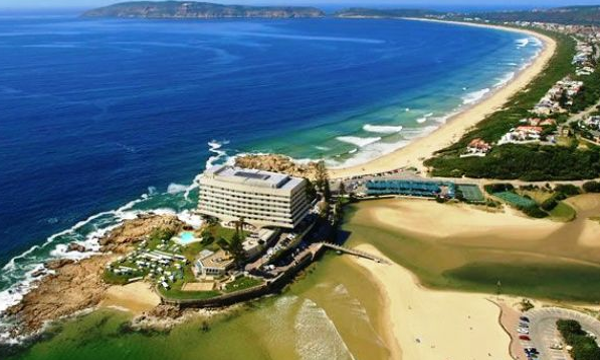 Plett is home to 4 of South Africa’s blue flag status beaches, Lookout beach, keurboomstrand beach, Natures valley beach and Robberg 5 beach. Whether you like to soak up the sun or go for long walks alon Pristine beaches and trails, Plettenberg bay has a beach for you. Plettenberg bay is well known as surfing destination, offers fabulous fishing safari’s for rock and surf or deep sea fishing enthusiasts. Take a microlite flight, paraglide or kite surf. 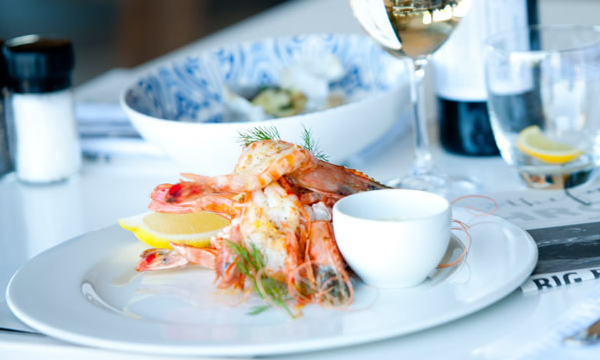 There is something for everyone in Plettenberg bay. 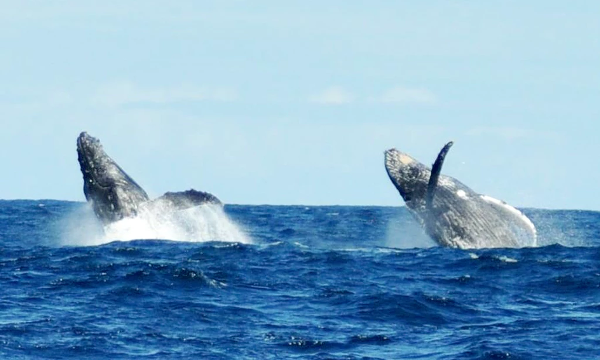 Whale watching in Plettenberg bay is a bucket list adventure that will take you up close and really personal with Whales, dolphins and a multitude of other marine life. The Keurbooms estuary in Plettenberg bay is also home to the Knysna seahorse, hippocampus. Visit birds of Eden, Knysna elephant park, Tsitsikama national park, Robberg nature reserve, Garden route national park or just sit on the bench of wisdom and marvel at the beauty of your surrounds. Plett is an extraordinary place to spend a vacation. You will need at least a week or two to explore Plettenberg bay’s many marvels and renting a furlly serviced holiday home from us at Plett holiday homes will give you the ideal launch pad for your holiday. The Town of Plettenberg bay offers a little of everything, from fine dining restaurants to artisan coffee shops and bakeries, from locally made clothing to imported couture and everything in between. There is a large community of local residents who are extremely friendly and ready to help you with your day’s activities. Plett is a seaside town that has more than beaches to offer, it is a diverse community whose residents value and appreciate the ecological diversity that form a part of. Our holiday homes to rent in Plettenberg bay offer a unique holiday experience for families, wedding/event attendees (Emily moon river lodge) or as a place from friends from around the globe to congregate.